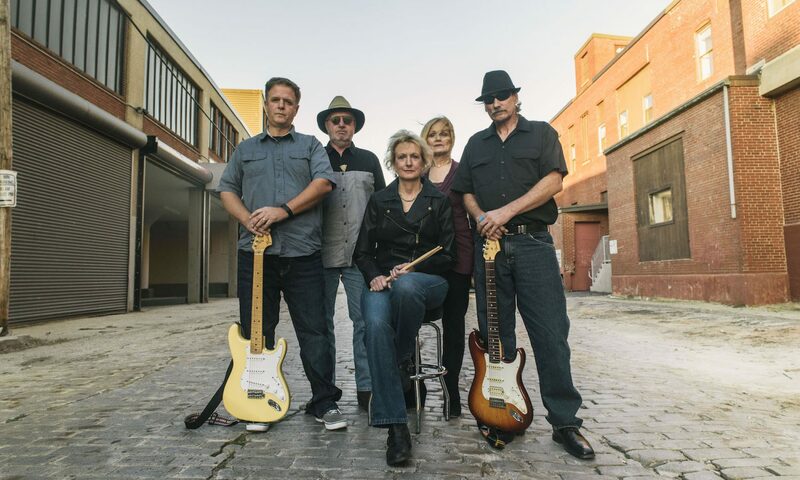 Rebound is a Portland, Maine-based Classic Rock band with a broad range of talent and musicianship. The band brings fun and great dance music to every gig. With solid vocalists the band offers great harmonies and a vast collection of covers from your favorite classic rock artists. Tunes you know and love! Contact us at rebound1band@gmail.com or 207-228-3758. A Maine native, Peter grew up in Leeds, Maine and started playing bass at age 15. His early musical influences included Bob Dylan, Tom Petty and The Beatles, prompting him to also pick up acoustic guitar along the way. But his main love is his P-Bass (Precision Fender Bass). He has played in a variety of bands most recently “Off the Rocks” and “Portcity Groove” before forming Rebound in 2013. He lives in North Deering with band-mate (and life-mate) Sue, and two middle-aged orange cats. Sue picked up the guitar at age 12 and never put it down. She’s a flat-lander from Indiana that came to Maine via Orlando, Florida where she ran a Public Relations firm by day and rocked with classic rock band “Southside” by night. Sue spent 4 years touring the eastern US with a high-tech top-40 act as lead vocalist. She lives in North Deering with her long-time partner and fellow band mate Peter Geores. Michael hails from Charleston, South Carolina and settled in Windham, Maine with his wife Deb and family in 2010. He has been playing a mean lead guitar since the mid ‘80’s and brings an infectious energy to the band and performance. His big influencers along the way include Jimi Hendrix, Eric Clapton and Stevie Ray Vaughn. Peter started on drums in the early 1980’s playing in a couple of Maine-based bands. He migrated to acoustic guitar performing on and off as a solo singer/songwriter for several years and frequently appeared as guest performer with area bands and musicians. He picked up electric guitar about the time he joined Rebound as one of the original members of the group. Peter is a solid vocalist, singing lead on most of Rebound’s songs. He is owner of Tricky Pony Amps, a maker of custom amplifiers, speakers and audio gear with vintage styling for musicians. Jody has been playing drums since she was ten and began playing clubs at the age of sixteen, adding vocals & backup to the mix. She has performed professionally ever since in a variety of popular Maine bands, including The Three Faces of Eve. In addition to her broad vocal range and rich harmonies, she is also a talented songwriter with a library of original tunes to her credit. Her early influencers include Heart, Fleetwood Mac and The Eagles. Jody lives in Naples, Maine with her two dogs, Frezzmin and Traff. Get in touch with us! Whether you are looking for band availability, a quote or just have general questions, we want to hear from you!